I had the pleasure of meeting Josh Funk for the first time this past June at ALA in New Orleans. My husband and I attended a party hosted by Two Lions for their authors, librarians, and other book-loving folks. Hours later, in the heart of the French Quarter, I ended up sitting around a table with my husband, Josh, and Sue Fliess (another Two Lions picture book author) talking about books, publishing, writing, and all the bits in between. For those of you who are in this business, you know how rare it is to get face time with other writers and illustrators, we are usually holed up in our offices or studios, in our own heads, spread out all over the country. Needless to say, it was such a treat sitting around chatting about books that night. We are big fans of Josh's books in our house and I'm thrilled to share his work with you today! So without further ado, please welcome Josh Funk! My first book (Lady Pancake & Sir French Toast) came out in 2015, but I started writing my very first really really horrible picture book manuscript in the summer of 2011. As of today, I have seven books published (but my 8th and 9th will be released within the next month). Nope. I’m a software engineer during the day. I write books in the evenings, over weekends, and during bathroom breaks. 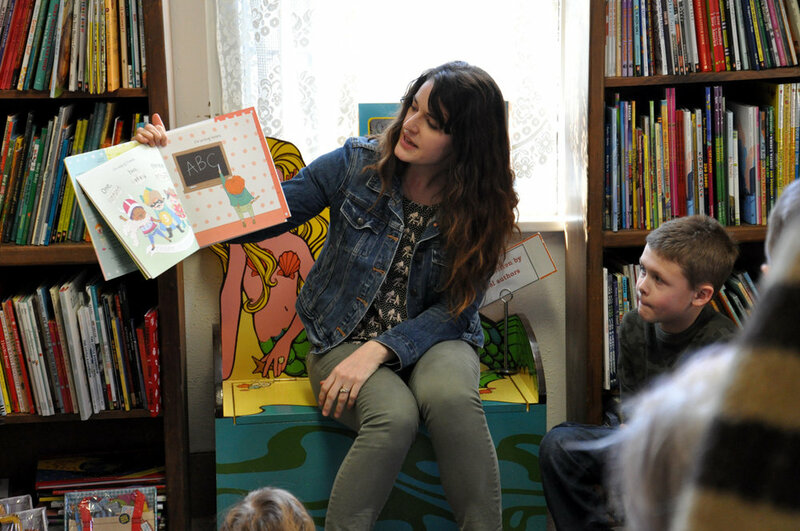 I really enjoyed reading with my kids - and I think they enjoyed reading with me. I just want to create entertaining picture books for kids and the adults that read with them. Every time I see the art for one of my books for the first time, I am blown away by how amazing it is! Picture book illustrators are the most talented artists in the world today! Connecting with readers. There’s no question that this is my favorite aspect of being an author. The worst is when you have to cut something out of a story that you really liked (like a good joke or a clever rhyme), but you know the book will better as a whole without it. I think about what I want to see illustrated. As someone who can’t draw, but gets silly ideas in my head, I try to think about what I’d want to see a really talented artist create - and then write a story about that! Very little. I kind of just work on things whenever and wherever the mood and idea strikes. As I’m writing books that generally have fewer than 500 words, I can write them on my phone, edit a few words as I’m falling asleep, or change a line in the car (when I’m not driving). I’m kind of a haphazard writer. The kid lit community is pretty amazing. I have to say that most people I meet are super supportive. I’ve been a member of a local writing community called The Writers’ Loft (in the Boston suburb of Sherborn, MA). I’ve met so many people who’ve given me critiques, advice, and support that really pushed me in the right direction on the way toward publication. Today, I’m gonna go with Iver and Ellsworth by Casey W. Robinson and Melissa Larson. But I frequently have new favorites as there are so many amazing books created all the time. The fact that I’ve published a book at ALL! How crazy is it that there’s a book in libraries, bookstores, and even bookshelves in kids’ bedrooms with words that I wrote?! How did this happen?!? Keep writing new things. You may feel very strongly about your first story - but as you revise and get feedback and learn about the craft and business of writing for children, you’re going to improve as a writer. So your second story will start off in a much better position than the first. And the third will be even better. So don’t revise that first story to death. Write something new. And then write something newer. 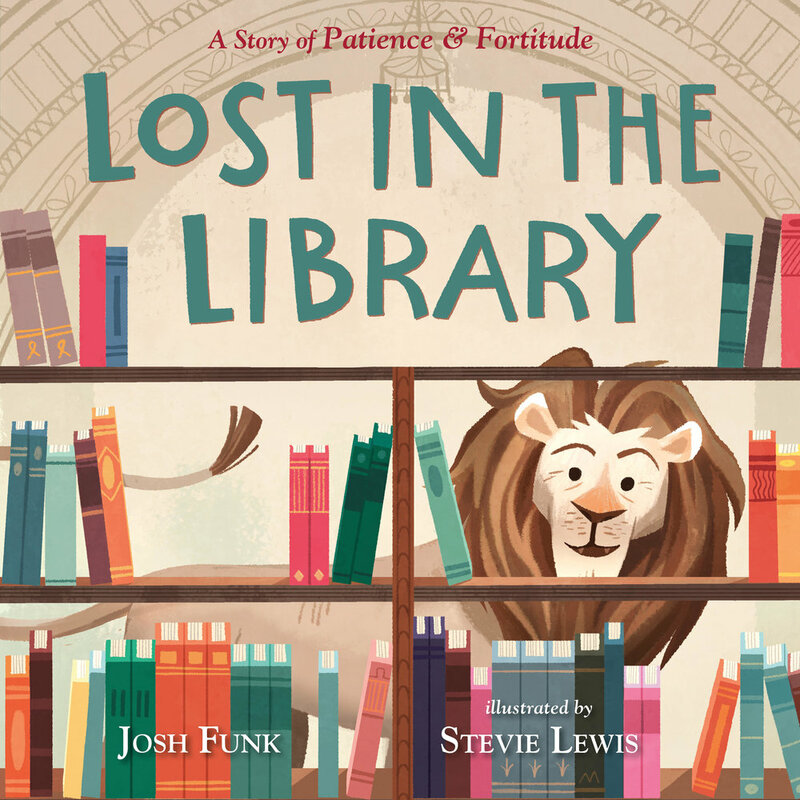 Lost in the Library: A Story of Patience & Fortitude, illustrated by Stevie Lewis comes out on August 28th! This is the first picture book about Patience and Fortitude, the two lion statues that faithfully guard the New York Public Library (in fact, this book is published in partnership with the NYPL). When Patience goes missing, Fortitude realizes that Patience has ventured inside the library. So for the first time ever, Fortitude abandons his post to search for Patience before the sun rises and we, the readers, get to explore the library for the first time alongside Fortitude. 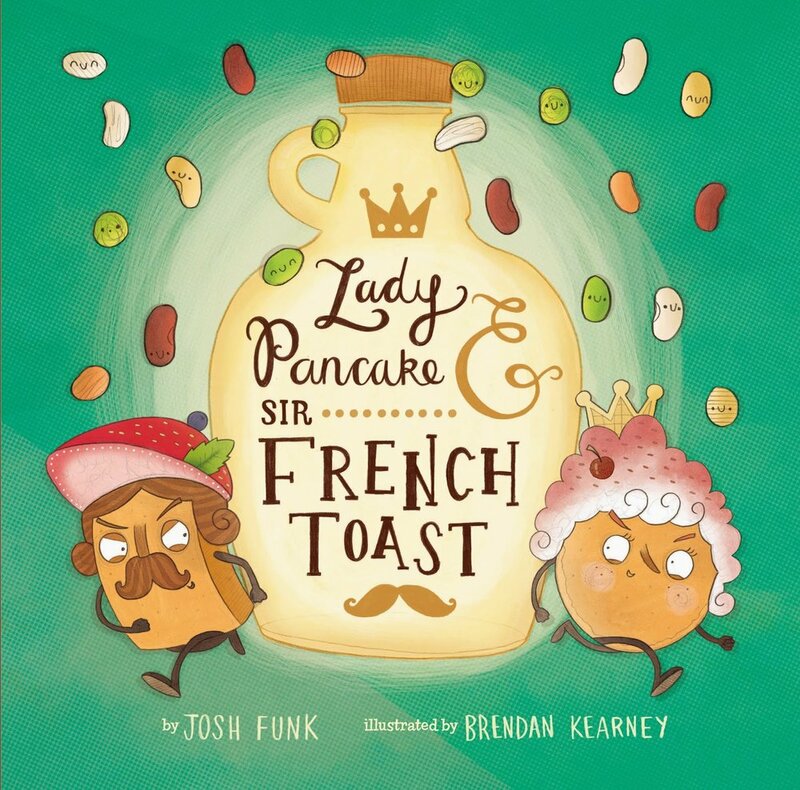 Next month the third book in the Lady Pancake & Sir French Toast series, Mission Defrostable, illustrated by Brendan Kearney, comes out (on September 25th). In this action-packed adventure, the fridge is freezing over - and Lady Pancake and Sir French Toast have to travel to parts of the fridge they’ve never ventured ... and need to enlist the help of one of their fiercest rivals. Dun. Dun. DUN! Have fun. Keep learning. And don’t give up. Thanks for inviting me to chat! Thank you Josh for stopping by Critter Lit to chat with us today! Josh Funk writes silly stories and somehow tricks people into publishing them as books - such as the Lady Pancake & Sir French Toast series (including The Case of the Stinky Stench and the upcoming Mission Defrostable), How to Code a Sandcastle (and the upcoming sequel How to Code a Rollercoaster), It's Not Jack and the Beanstalk, Dear Dragon, Albie Newton, Pirasaurs!, and the forthcoming Lost in the Library: A Story of Patience and Fortitude (in conjunction with the New York Public Library), It's Not Hansel and Gretel, and more coming soon! Since the fall of 2015, Josh has visited (or virtually visited) over 300 schools, classrooms, and libraries. Josh is a board member of The Writers' Loft in Sherborn, MA and was the co-coordinator of the 2016 and 2017 New England Regional SCBWI Conferences. 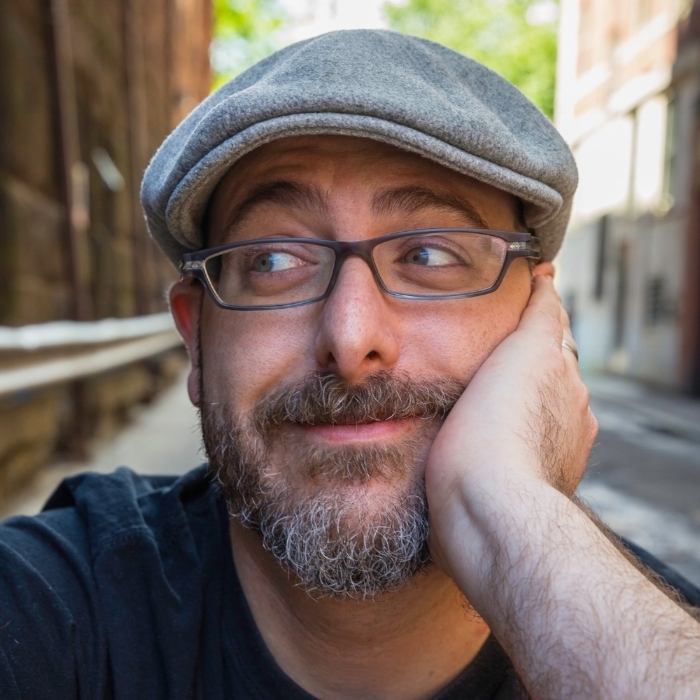 OR MORE INFORMATION about Josh Funk, visit him at www.joshfunkbooks.com and on Twitter at @joshfunkbooks. TO ORDER A COPY of LOST IN THE LIBRARY or MISSION DEFROSTABLE visit your local book store, or click here. Want a chance to win a SIGNED copy of LOST IN THE LIBRARY or MISSION DEFROSTABLE by Josh Funk?! Comment on this post below or share it on Twitter. Two lucky winners will be announced Thursday, September 6th! US addresses only please. What's up on deck? Tune in next Thursday for an interview with debut picture book author Beth Anderson!